WorkZone is the ONLY effective contamination control mat or flooring for areas subject to heavy wheeled traffic. It is specially designed to attract, collect and retain contamination from the wheels of forklifts, pallet trucks and large carts up to 1280lb/psi, preventing unwanted particles from entering critical areas. 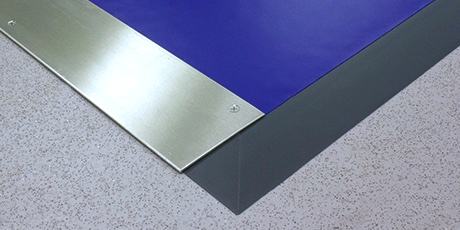 WorkZone can be installed into a variety of heavy-duty areas and is available with a low profile, food-grade stainless steel edging option.